All of these items were picked by Real Simple Magazine as "Best" in their May 2012 issue. 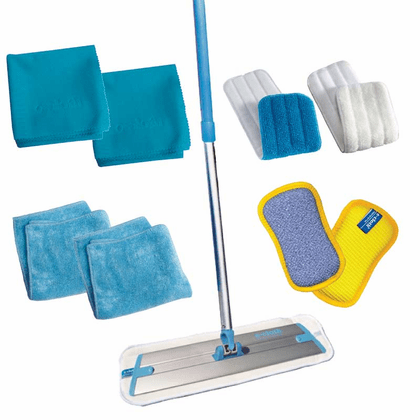 - One Deep Clean Mop - rated Best Washable Mop Please note that on any shipment to Canada, the International Deep Clean Mop will be substituted. Due Canadian restrictions on package size, The Deep Clean Mop cannot be shipped to outside the United States. This collection of amazing e-cloths make an excellent starter set or shower gift.